The Prophet said, "I know the person who will be the last to come out of the (Hell) Fire, and the last to enter Paradise. He will be a man who will come out of the (Hell) Fire crawling, and Allah will say to him, 'Go and enter Paradise.' He will go to it, but he will imagine that it had been filled, and then he will return and say, 'O Lord, I have found it full.' Allah will say, 'Go and enter Paradise, and you will have what equals the world and ten times as much (or, you will have as much as ten times the like of the world).' On that, the man will say, 'Do you mock at me (or laugh at me) though You are the King?" I saw Allah's Apostle (while saying that) smiling that his premolar teeth became visible. It is said that will be the lowest in degree amongst the people of Paradise. The people said, "O Allah's Apostle! Shall we see our Lord on the Day of Resurrection?" He replied, "Do you have any doubt in seeing the full moon on a clear (not cloudy) night?" They replied, "No, O Allah's Apostle!" He said, "Do you have any doubt in seeing the sun when there are no clouds?" They replied in the negative. He said, "You will see Allah (your Lord) in the same way. On the Day of Resurrection, people will be gathered and He will order the people to follow what they used to worship. So some of them will follow the sun, some will follow the moon, and some will follow other deities; and only this nation (Muslims) will be left with its hypocrites. Allah will come to them and say, 'I am Your Lord.' They will say, 'We shall stay in this place till our Lord comes to us and when our Lord will come, we will recognize Him. Then Allah will come to them again and say, 'I am your Lord.' They will say, 'You are our Lord.' Allah will call them, and As-Sirat (a bridge) will be laid across Hell and I (Muhammad) shall be the first amongst the Apostles to cross it with my followers. Nobody except the Apostles will then be able to speak and they will be saying then, 'O Allah! Save us. O Allah Save us.' There will be hooks like the thorns of Sa'dan in Hell. Have you seen the thorns of Sa'dan?" The people said, "Yes." He said, "These hooks will be like the thorns of Sa'dan but nobody except Allah knows their greatness in size and these will entangle the people according to their deeds; some of them will fall and stay in Hell forever; others will receive punishment (torn into small pieces) and will get out of Hell, till when Allah intends mercy on whomever He likes amongst the people of Hell, He will order the angels to take out of Hell those who worshipped none but Him alone. The angels will take them out by recognizing them from the traces of prostrations, for Allah has forbidden the (Hell) fire to eat away those traces. So they will come out of the Fire, it will eat away from the whole of the human body except the marks of the prostrations. At that time they will come out of the Fire as mere skeletons. The Water of Life will be poured on them and as a result they will grow like the seeds growing on the bank of flowing water. Then when Allah had finished from the Judgments amongst his creations, one man will be left between Hell and Paradise and he will be the last man from the people of Hell to enter paradise. He will be facing Hell, and will say, 'O Allah! Turn my face from the fire as its wind has dried me and its steam has burnt me.' Allah will ask him, "Will you ask for anything more in case this favor is granted to you?' He will say, "No by Your (Honor) Power!" And he will give to his Lord (Allah) what he will of the pledges and the covenants. Allah will then turn his face from the Fire. When he will face Paradise and will see its charm, he will remain quiet as long as Allah will. He then will say, 'O my Lord! Let me go to the gate of Paradise.' Allah will ask him, 'Didn't you give pledges and make covenants (to the effect) that you would not ask for anything more than what you requested at first?' He will say, 'O my Lord! Do not make me the most wretched, amongst Your creatures.' Allah will say, 'If this request is granted, will you then ask for anything else?' He will say, 'No! By Your Power! I shall not ask for anything else.' Then he will give to his Lord what He will of the pledges and the covenants. Allah will then let him go to the gate of Paradise. On reaching then and seeing its life, charm, and pleasure, he will remain quiet as long as Allah wills and then will say, 'O my Lord ! Let me enter Paradise.' Allah will say, May Allah be merciful unto you, O son of Adam! How treacherous you are! Haven't you made covenants and given pledges that you will not ask for anything more that what you have been given?' He will say, 'O my Lord! Do not make me the most wretched amongst Your creatures.' So Allah will laugh and allow him to enter Paradise and will ask him to request as much as he likes. He will do so till all his desires have been fulfilled . Then Allah will say, 'Request more of such and such things.' Allah will remind him and when all his desires and wishes; have been fulfilled, Allah will say "All this is granted to you and a similar amount besides." Abu Said Al-Khudri, said to Abu Huraira, 'Allah's Apostle said, "Allah said, 'That is for you and ten times more like it.' "Abu Huraira said, "I do not remember from Allah's Apostle except (his saying), 'All this is granted to you and a similar amount besides." Abu Sahd said, "I heard him saying, 'That is for you and ten times more the like of it." Allah's Apostle stopped (for a while near the Jimar) at Mina during his last Hajj for the people and they were asking him questions. A man came and said, "I forgot and got my head shaved before slaughtering the Hadi (sacrificing animal)." The Prophet said, "There is no harm, go and do the slaughtering now." Then another person came and said, "I forgot and slaughtered (the camel) before Rami (throwing of the pebbles) at the Jamra." The Prophet said, "Do the Rami now and there is no harm." The narrator added: So on that day, when the Prophet was asked about anything (as regards the ceremonies of Hajj) performed before or after its due time, his reply was: "Do it (now) and there is no harm." 'Aisha said, "We set out with the Prophet in his last Hajj. Some of us intended to perform 'Umra while others Hajj. When we reached Mecca, Allah's Apostle said, 'Those who had assumed the lhram for'Umra and had not brought the Hadi should finish his lhram and whoever had assumed the Ihram for 'Umra and brought the Hadi should not finish the Ihram till he has slaughtered his Hadi and whoever had assumed the lhram for Hajj should complete his Hajj." 'Aisha further said, "I got my periods (menses) and kept on menstruating till the day of 'Arafat, and I had assumed the Ihram for 'Umra only (Tamattu'). The Prophet ordered me to undo and comb my head hair and assume the lhram for Hajj only and leave the 'Umra. I did the same till I completed the Hajj. Then the Prophet sent 'Abdur Rahman bin Abi Bakr with me and ordered me to perform 'Umra from At-Tan'im in lieu of the missed 'Umra." Prophet Muhammad [pbuh] Sense of Humor ! 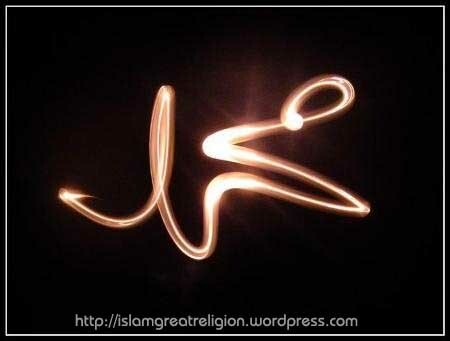 It is well known that the Prophet Muhammad (may Peace and Blessings be upon him) was indeed the perfect man. He was a devoted seeker of Truth, a warner and exhorter, a person of good cheer and pleasantness, a brilliant leader, a courageous and yet reluctant warrior, a statesman par excellence and the teacher of teachers. He was a compassionate ruler and spiritual leader, but many do not know that the Holy Prophet Muhammad (may Peace and Blessings be upon him) had an extraordinary sense of humor! On another occasion a man approached the Prophet (may Peace and Blessings be upon him) and asked him for a camel ride. But he also was a dear friend and beloved companion. His sense of humor brought warmth and love to those who were around him. He never passed someone without a smile and his high achievement of good manners have become the example and traditions of Muslims the world over. This is the Prophet Muhammad (may Peace and Blessings be upon him) and his tradition of good humor. May Allah give us ability to apply Sunnah in our life.